Silk has walked straight off the runway and into the lab. 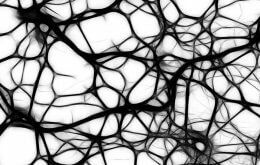 According to a new study published in the Journal of Clinical Investigation, silk implants placed in the brain of laboratory animals and designed to release a specific chemical, adenosine, may help stop the progression of epilepsy. The research was supported by the National Institute of Neurological Disorders and Stroke (NINDS) and the National Institute of Biomedical Imaging and Bioengineering (NIBIB), which are part of the National Institutes of Health. The epilepsies are a group of neurological disorders associated with recurring seizures that tend to become more frequent and severe over time. Adenosine decreases neuronal excitability and helps stop seizures. Earlier studies have suggested abnormally low levels of adenosine may be linked to epilepsy. Rebecca L. Williams-Karnesky, Ph.D. and her colleagues from Legacy Research Institute, Portland, Ore., Oregon Health and Sciences University (OHSU), Portland, and Tufts University, Boston, looked at long-term effects of an adenosine-releasing silk-implant therapy in rats and examined the role of adenosine in causing epigenetic changes that may be associated with the development of epilepsy. Example of Silk Implant Used in the Study. Silk implants designed to release adenosine were placed into rat brains to stop the spread of epilepsy. Image courtesy of Dr. Boison, from Legacy Research Institute and OHSU. The investigators argue that adenosine’s beneficial effects are due to epigenetic modifications (chemical reactions that change the way genes are turned on or off without altering the DNA code, the letters that make up our genetic background). Specifically, these changes happen when a molecule known as a methyl group blocks a portion of DNA, affecting which genes are accessible and can be turned on. If methyl groups have been taken away (demethylated), genes are more likely to turn on. The results reported in the paper provided evidence that changing adenosine levels affects DNA methylation in the brain. Specifically, greater amounts of adenosine were associated with lower levels of DNA methylation. The investigators also demonstrate that rats induced to develop epilepsy have higher levels of methylated DNA. Of particular note, epileptic rat brains that had received the adenosine-releasing silk implants exhibited DNA methylation levels close to brains of normal rats and this significantly lessened the worsening of the epilepsy over time. “We know that there are mutations that are associated with epilepsy. However, there are few people such as Dr. Detlev Boison who are doing this type of work, focusing not just on genetic mutations but how the genes are regulated,” said Vicky Whittemore, Ph.D., program director at NINDS. One mechanism involved in a specific type of epilepsy is an increase in mossy fiber sprouting — the formation of new excitatory circuits in the part of the brain where seizures commonly originate. At the end of the experiment, animals that had been treated with the adenosine-releasing silk implant showed less sprouting than animals that were not given the drug. “Based on our findings that 10 days of adenosine delivery prevented the sprouting of mossy fibers for at least three months in rats, we predict that the benefits of our adenosine therapy may extend even longer. However, this assumption needs to be validated in long-term experiments that go beyond three months,” said Dr. Boison, senior author of the paper from Legacy Research Institute and OHSU. The rats did not receive the implants until they had experienced a number of seizures. The researchers noted that many studies investigating anti-epileptic drugs often test the treatments too early. “If the therapy interferes with the trigger for epilepsy development then the trigger is weakened and subsequent epilepsy is less severe. However, this is not necessarily indicative of a stop in the progression of the disease,” said Dr. Boison. They found that the adenosine-releasing silk did not completely abolish seizures in their animal model but reduced them four-fold. “To avoid interference with the epilepsy-triggering mechanisms, we waited until all animals developed an early stage of epilepsy. In this model, the disease is life-long: seizures become more frequent and worsen with time. Therefore, we challenged ourselves to attempt treatment at a stage where epilepsy had already been established,” Dr. Boison continued. Future studies also need to demonstrate how long the effects of the adenosine-releasing silk implant will last. “This work is important because 25-30 percent of people with epilepsy do not have effective therapies. This research may help us to prevent epilepsy in people who suffer some event that places them at risk for the disorder, such as individuals who have experienced head trauma,” said Dr. Whittemore. This study was supported by grants from NINDS (NS061844, NS070359), NIBIB (EB002520), and the U.S. Department of Defense (W81XWH-12-1-0283). Rebecca L. Williams-Karnesky et al. “Epigenetic changes induced by adenosine augmentation therapy prevent epileptogenesis.” Journal of Clinical Investigation, July 25, 2013.